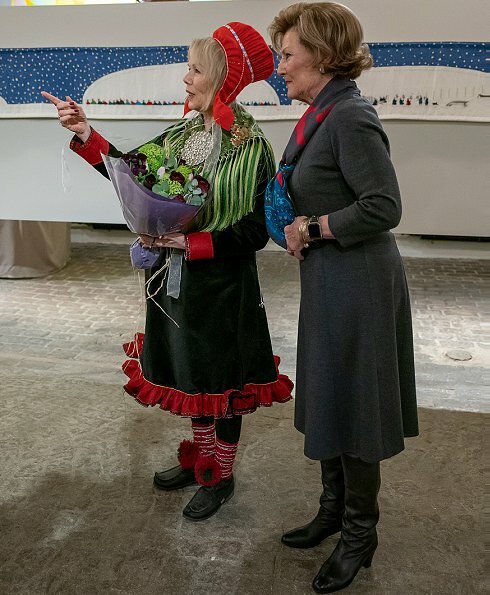 On February 7, 2019, Queen Sonja of Norway attended the official opening of the exhibition "Histories. 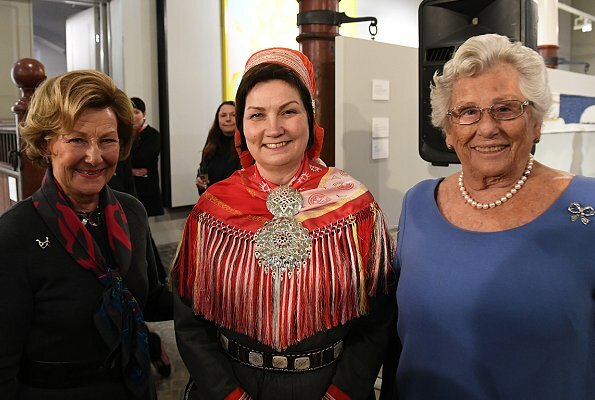 Three generations Sámi artists" (Historier. 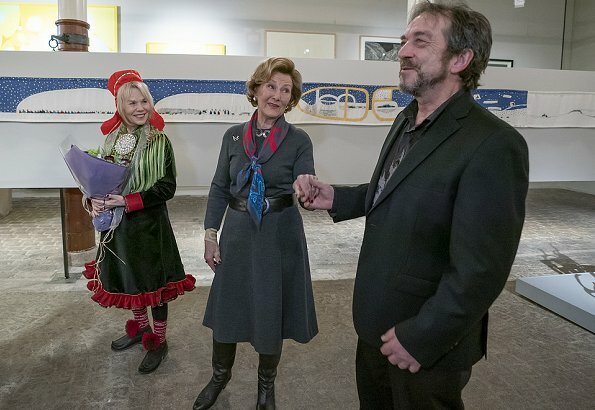 Tre generasjoner samiske kunstnere) at The Queen Sonja Art Stable (KunstStall) in Oslo. 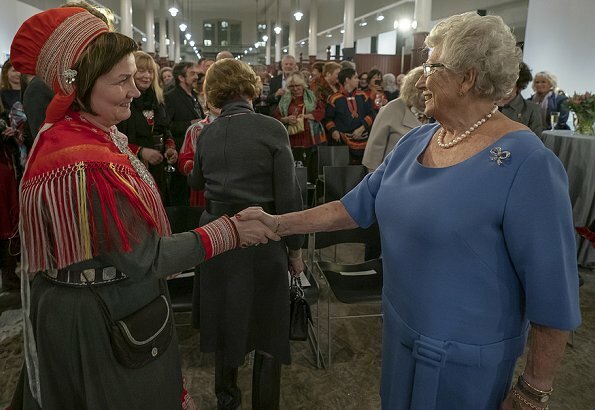 Princess Astrid, the King’s sister was also present. 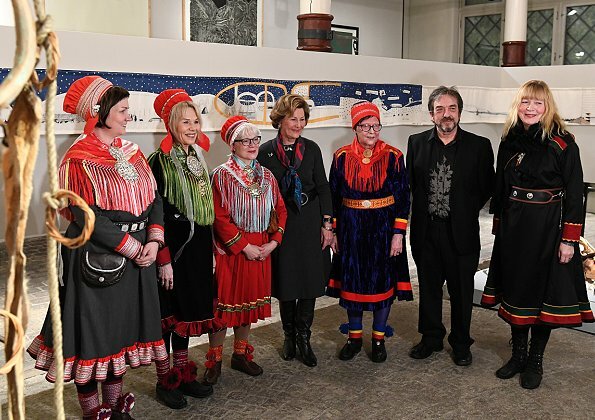 The exhibition presents approximately 60 works from three generations of Sámi artist, and is the largest collection of Sámi art ever presented in Oslo. 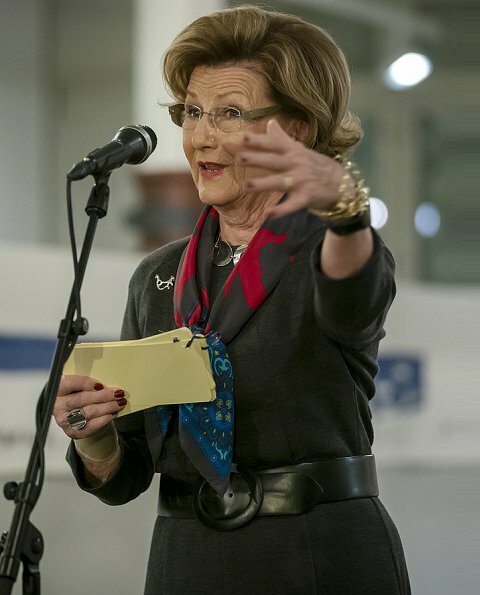 The new exhibition will be on display until the end of August. 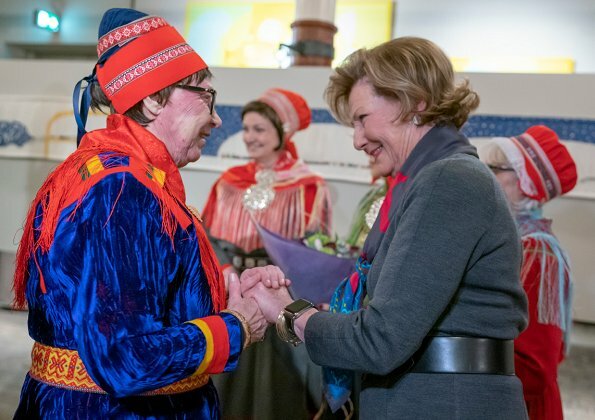 Again Queen Sonia chooses a very quiet look for herself, one which doesn't compete with the colorful Sami dress. The dark gray dress fits beautifully and the choice of that scarf is perfect, along with the interesting modern silver jewelry. She looks more comfortable today It would be interesting to see some of the artwork being shown. 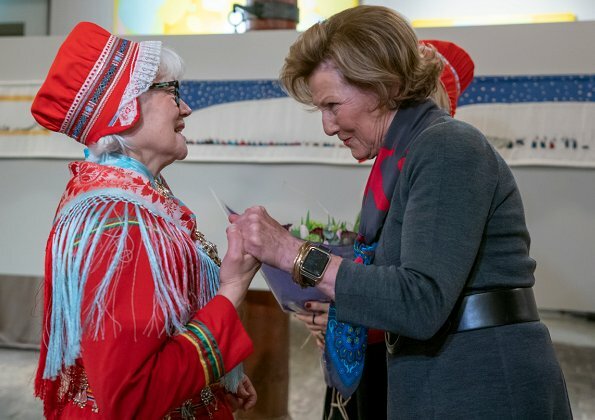 Queen Sonja looks beautiful, and it is nice to see that the royal princess Astrid is joining her. I admire both of them. 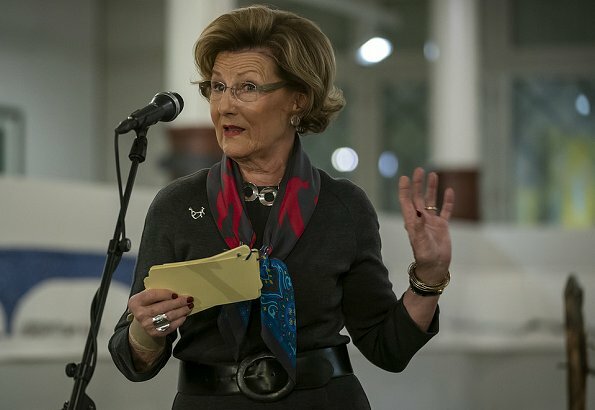 Nice to see the Q and Pss Astrid at the same events. 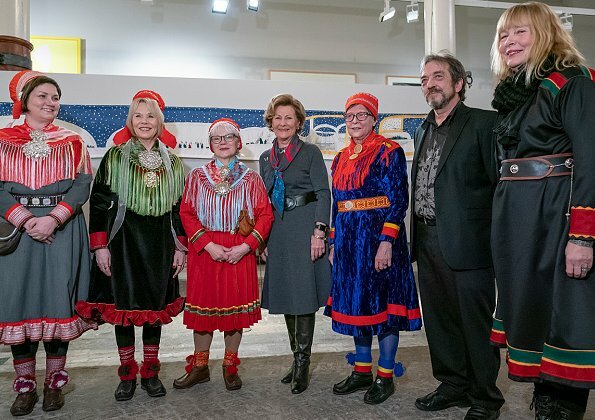 Everyone looks good.Like the National dress of the Sami people.